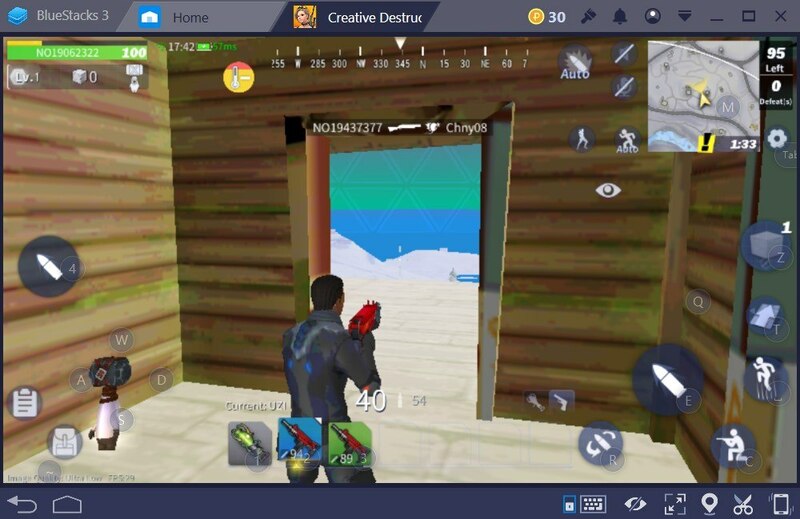 Creative Destruction possesses the necessary fragments required for a battle royale genre game to make a difference in the endless sea of battle royale titles. It’s not a mere copy of Fornite nor it’s something vastly different. It’s in a simple definition, a fun battle royale game. When a game is fun, isn’t it enough to play it? 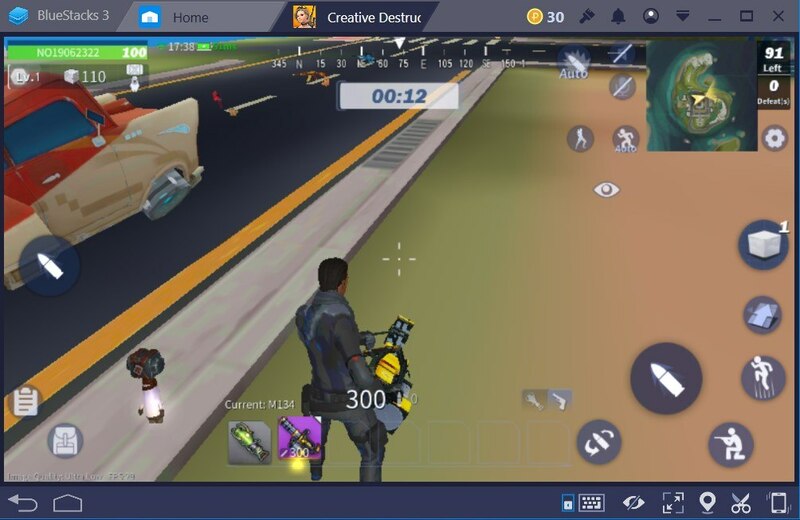 If the answer is “of course” for you, then Creative Destruction will be one of your favorite Battle Royale games in no time. Battle Royale games have always offered many different aspects of gameplay: Looting, resource gathering, hiding, building – but most importantly, shooting. How would it be fun if you couldn’t shoot the other players in the face? 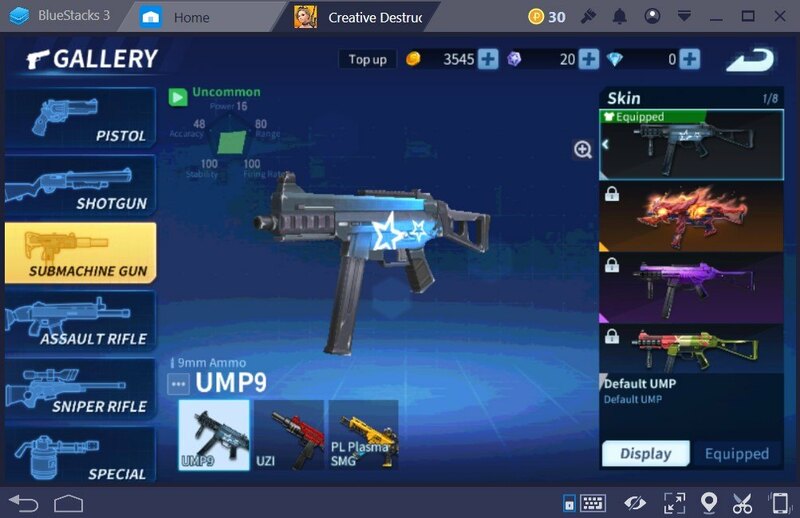 Creative Destruction has a big pool of different guns. All have their place and their strong points. However, some are vastly superior to others. You might say, “they are guns, they all shoot bullets, what’s the difference.” If you really think this way, you are vastly incorrect. In Battle Royale games, certain weapons are only usable in the early game. When used for the late game, you might suffer to overcome your intense encounter with the early weapons in hand. 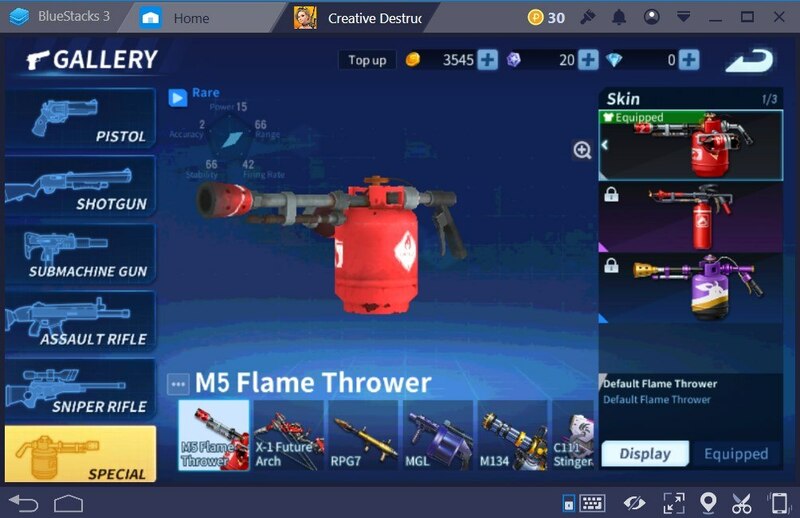 With this article, we will try to showcase the best weapons in Creative Destruction. Utilizing the best weapons will let you become victorious as much as possible. 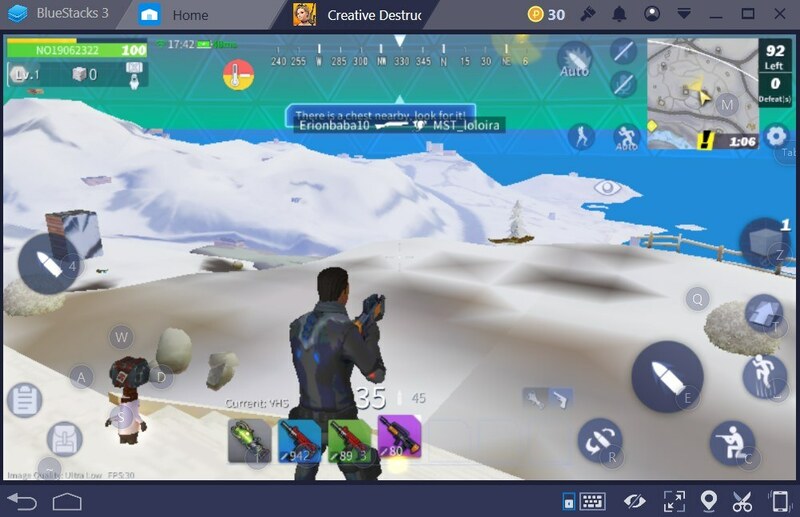 You may also like to check out the BlueStacks Guide for Creative Destruction to figure out the best controls for optimal performance in this game. The pistols in any Battle Royale game are used merely for the initial stages of the match. Even though there are some certain special pistols that are very rare, most of the time, a pistol is used in the manner of “better than my bare fists”. 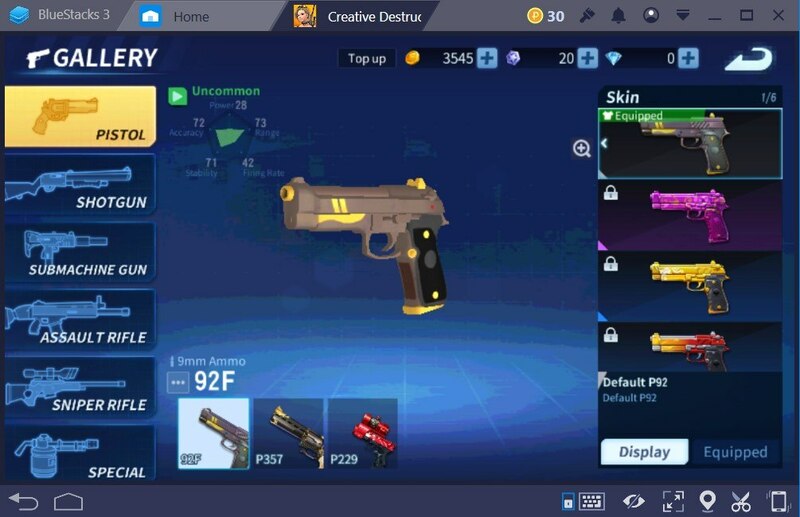 Creative Destruction has a total of three pistols. Two of them are common, while the last one is rare because of the long-range scope attached to it. Overall, just like mentioned before, you should not rely on pistols. Go and find a more reliable weapon as fast as possible. There is nothing more satisfying than blasting your enemy with a well-placed shotgun blast. Shotguns have been fundamental for many shooter games for a long time. 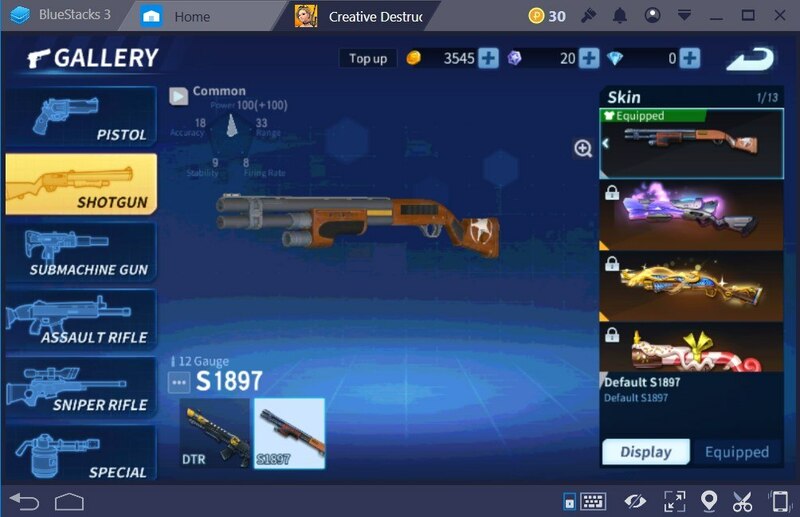 Creative Destruction’s shotgun inventory isn’t that shiny. 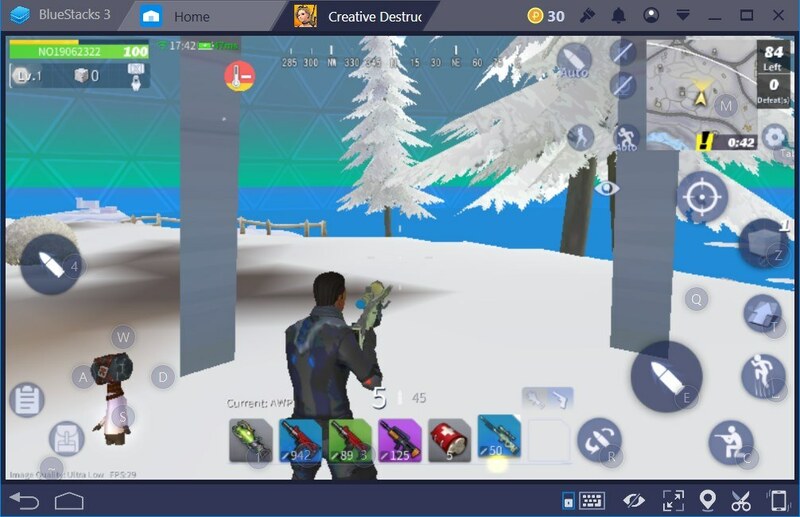 You will find two shotguns in Creative Destruction. Both of them are reliable in close range and deadly. But it wouldn’t be a good idea only relying on a shotgun. Be sure to keep a long-range weapon in your inventory, but when the enemies are close, blast them with the shotgun. Submachine guns are mostly useful for short to mid ranges. At close range, you can easily bring down your enemies simply by holding down the trigger thanks to the low recoil. In most cases, you won’t even need to aim down sights; just hip fire and bring your enemies down. In Creative Destruction, you will have three different submachine guns available for mayhem. Even though submachine guns are mostly reliable in close encounters, for long range, you will surely struggle. For the best potential firefights, be sure to get a hold of a long-range weapon such as a sniper rifle or an assault rifle. Assault rifles have always been the most reliable weapons in any kind of situation for shooter games. They are great for long-range, mid-range, and even for the short range encounters. It is safe to say that you should always carry an assault rifle in your inventory no matter what. There are a total of six assault rifles in Creative Destruction. While all of them are usable, SCAR and XM8 are much more powerful when compared with the rest. If you have one of these two in your inventory, you won’t have much problem against your enemies. Assault rifles won’t disappoint you in Creative Destruction. Whether it’s a SCAR, XM8, VHS, or an AK47 – you can always depend on them. Another iconic weapon for all shooter games. They are hard to find, hard to use, but when you get that long-range headshot – it feels great. Sniper rifles are not easy to use. They have very slow fire rate and reload time. But when you get a headshot, your enemy is dead – no mercy! 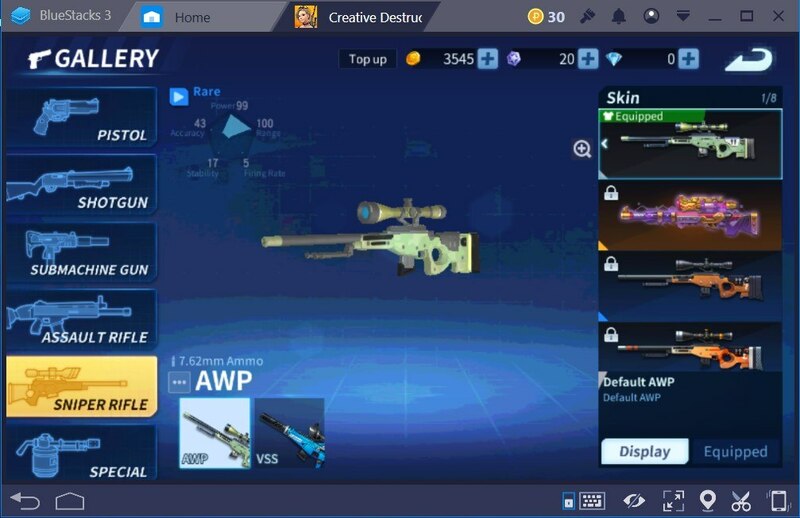 You can use two different sniper rifles in Creative Destruction. One of them is the classic AWP and the other one is called VSS. Both of the sniper rifles are rare drops so you won’t come across these regularly. We would like to share an important tip for players that will just start playing Creative Destruction on BlueStacks. When the game launches for the first time, the ‘zoom’ button won’t have an assigned keyboard button. Assign a button for zoom function, so you can use the sniper rifle properly. If you fancy weapons that pack more finesse compared to regular ones, then the special weapons are for you. But beware, they are not easy to come by. Mini-guns, flamethrowers, RPGs, and grenade launchers. 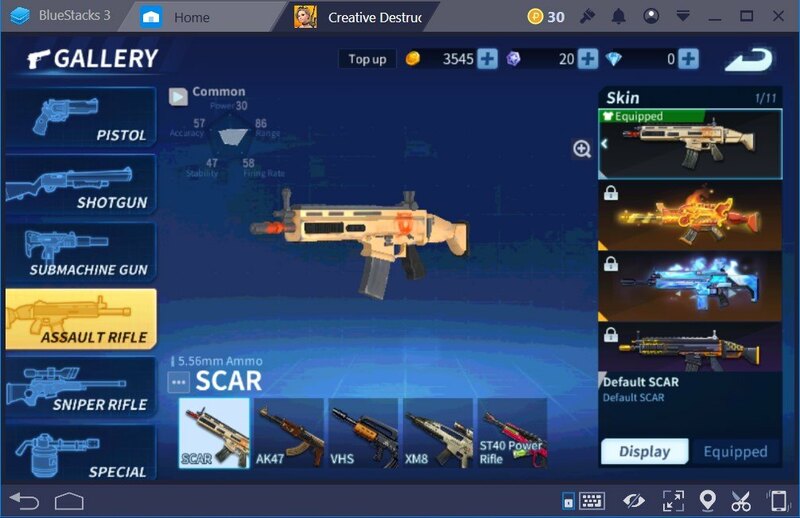 Creative Destruction offers a variety of special weapons. They are very rare but also extremely powerful. If you find one, do not let go. Special weapons look fancy and hit hard but they also don’t have much ammo. You won’t be able to gather ammo for the long term. Pick one, use efficiently, kill your enemies and throw it away. Special weapons are used for fun, do not rely on them entirely.